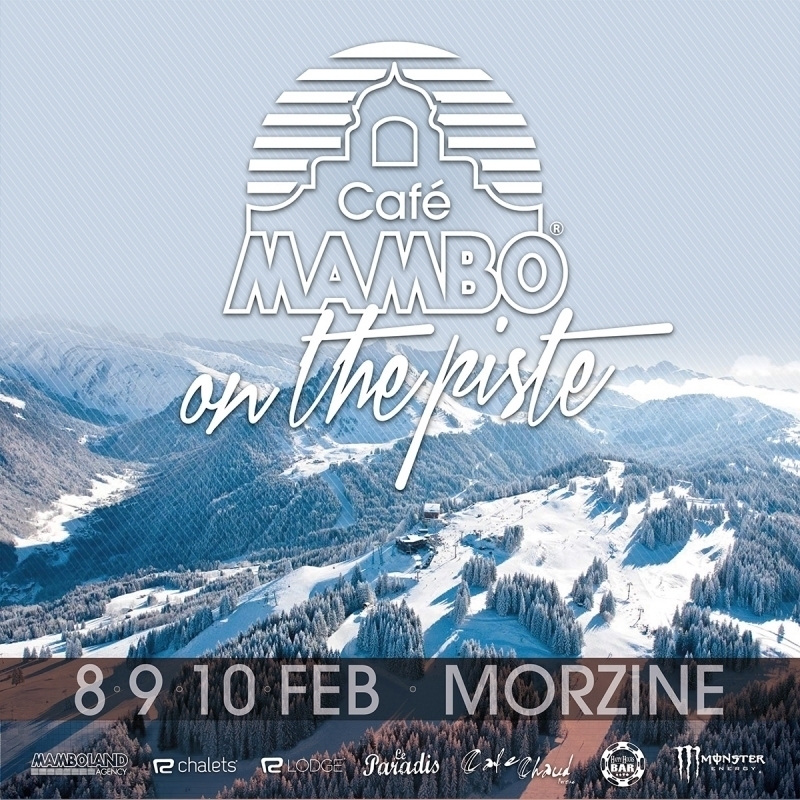 After three successful ‘Mambo on the Piste’ events over the last few years, we're very excited to announce we’ll be taking Cafe Mambo Ibiza to the slopes of Morzine in February 2017! Morzine is fast becoming the most popular ski and snowboarding destination in the French Alps and we have a great programme lined up to bring you the very best of on piste and apres-ski action. We’ll be hosting Cafe Mambo pre-parties at Café Chaud in the centre of Morzine, one of the coolest venues in town, with the main event taking place at Happy Hours, the biggest and best open air apres-ski venue in the French Alps with a reputation for throwing the wildest and most fun apres-ski parties you will ever experience! After dark we'll carry on the party at Le Paradis nightclub – the oldest and most decadent nightclub in Morzine, conveniently located beneath your accommodation so you don’t have far to go to get to your bed! With prices starting from just €520pp, including 3 nights accomodation, ski passes, equipment hire and access to all the Cafe Mambo events, this really is a great value ski + party experience. So what are you waiting for?! Book now via Rude Chalets and get ready to party on the piste Cafe Mambo style!